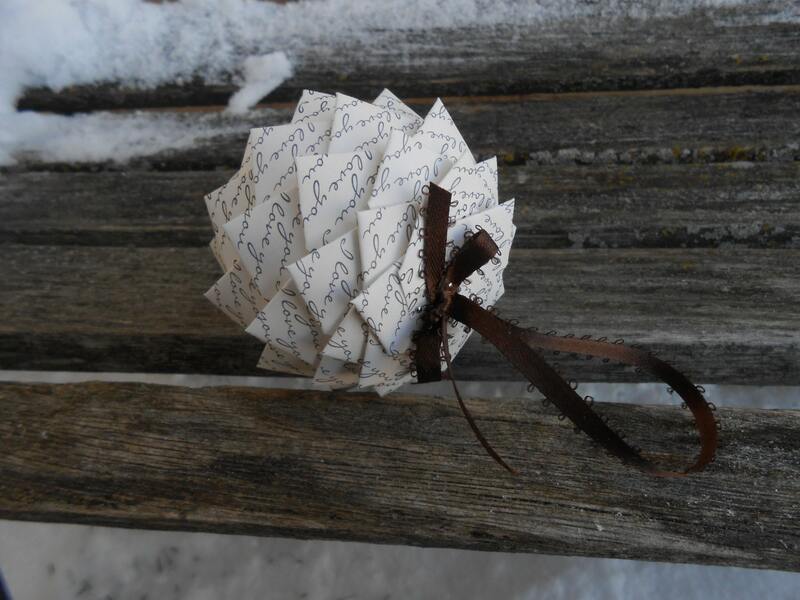 This cute little paper ball ornament measures 2.5". 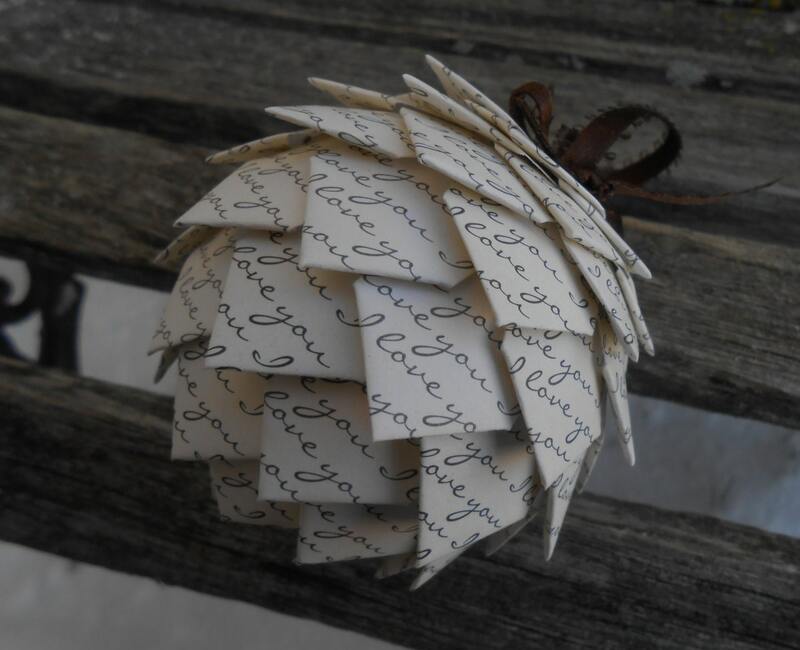 It is made from an ivory paper, with the words "I love you" written over and over again. 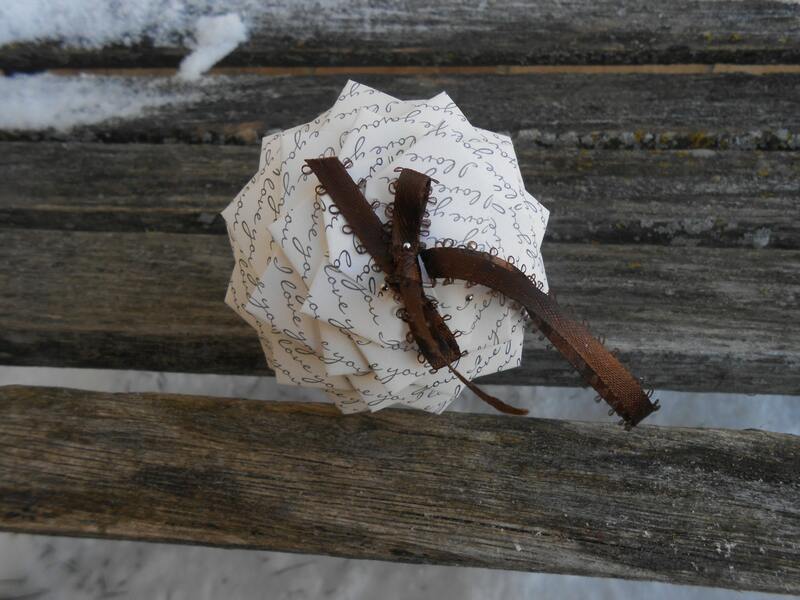 It hangs from a chocolate brown ribbon. It is very lightweight, as it has a foam ball underneath. 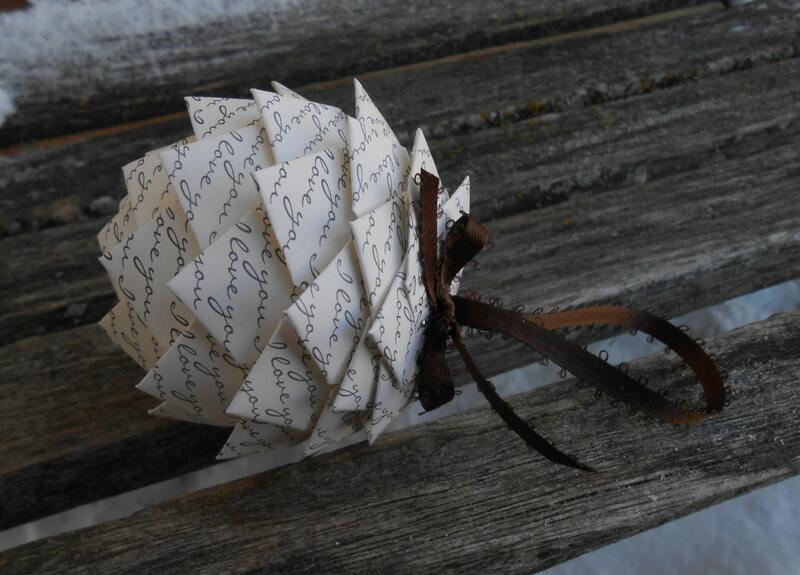 Perfect gift to give anyone! 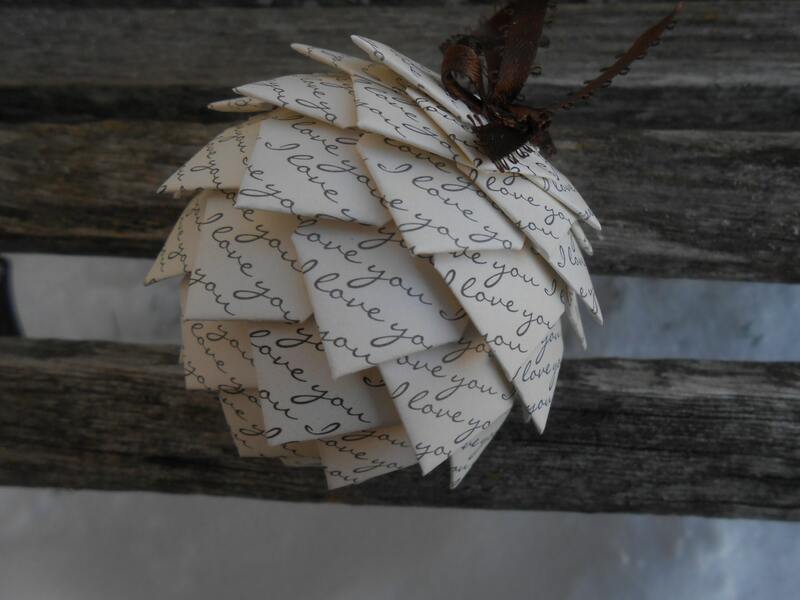 These make wonderful gifts! They look great on Christmas trees. They make great wedding decorations, first anniversary presents, birthday presents, etc.